Ownership / Access: Used as a hippodrome, where equestrian competitions are held each year, Museum. 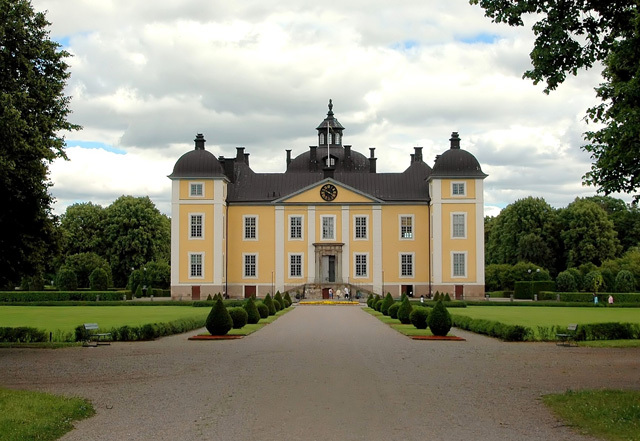 Notes: Stromsholm Palace, sometimes called Stromsholm Castle (Swedish: Stromsholms slott), is a Swedish royal palace. The baroque palace is built on the site of a fortress from the 1550s, located on an island in the Kolbacksan river at the west end of Lake Malaren. The palace has interiors from the 18th century and an important collection of Swedish paintings.